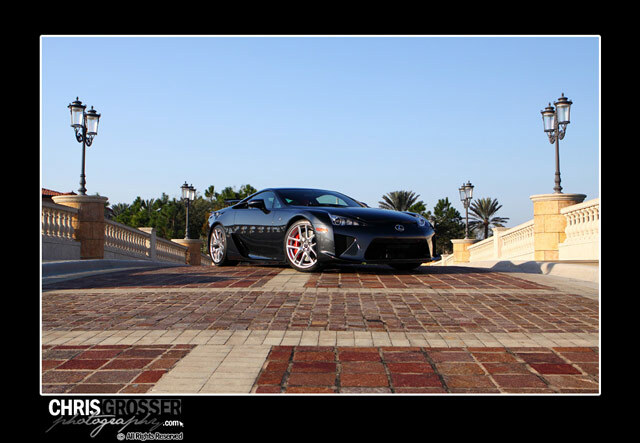 I met the owner and his wife at this year’s Naples “Cars on 5th” event that I photographed for duPont REGISTRY. They are two of the most amiable and humble individuals that I have ever met. I can’t express my appreciation enough to them for allowing me to take up a few hours of their time to photograph this spectacular machine. It’s been a huge honor photographing their LFA and to also be able to give the car the global attention and recognition that it fully deserves, thank you! 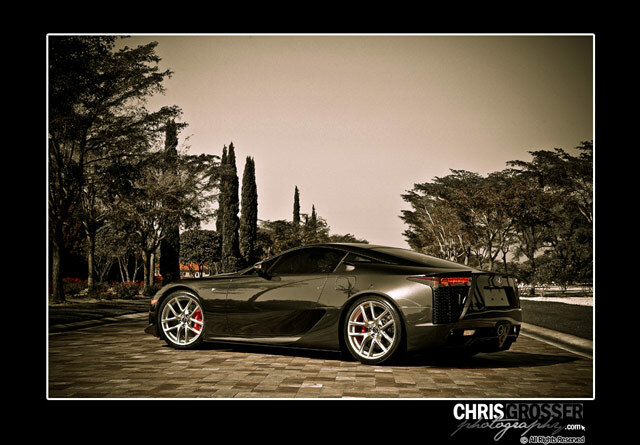 There are 70 photos of the LFA in total, be sure to check out the full gallery. Wunko: Great photos. 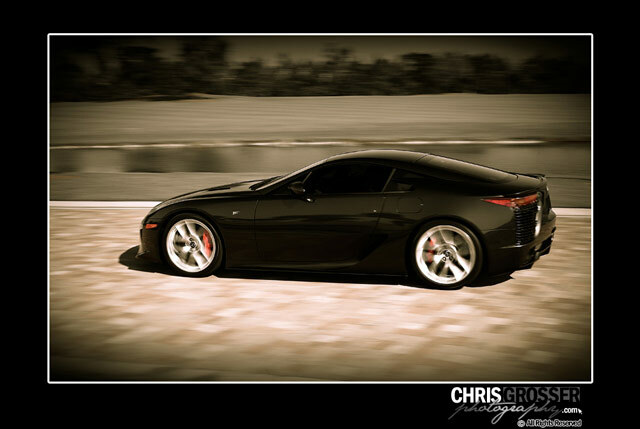 I love the Lexus dark metallic gray colors. WorldofLuxury: I want her so bad!